Explanation: Nearly 50 million light-years away in the constellation Ursa Major, NGC 4013 was long considered an isolated island universe. Seen edge-on, the gorgeous spiral galaxy was known for its flattened disk and central bulge of stars, cut by silhouetted dust lanes. 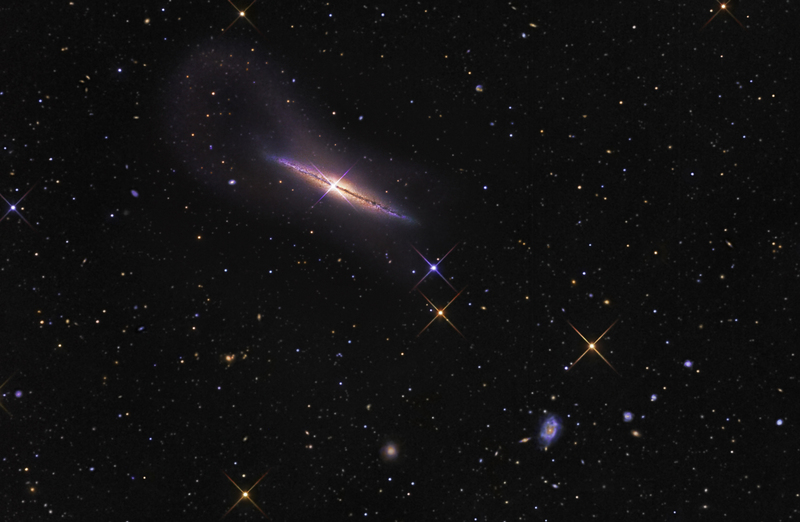 But this deep color image of the region reveals a previously unknown feature associated with NGC 4013, an enormous, faint looping structure extending (above and toward the left) over 80 thousand light-years from the galaxy's center. A detailed exploration of the remarkable structure reveals it to be a stream of stars originally belonging to another galaxy, likely a smaller galaxy torn apart by gravitational tides as it merged with the larger spiral. 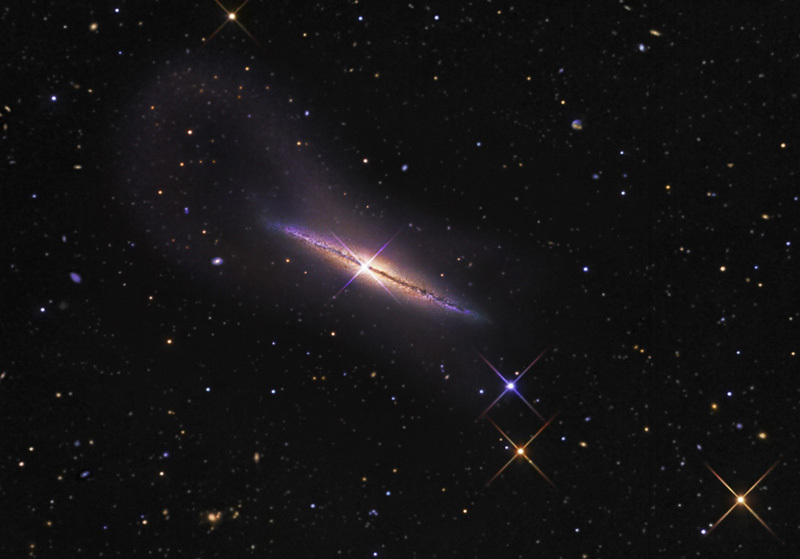 Astronomers argue that the newly discovered tidal stream also explains a warped distribution of neutral hydrogen gas seen in radio images of NGC 4013 and offers parallels to the formation of our own Milky Way galaxy.